Catherine worked for 5 years a complementary therapist in oncology in Bradford and Harrogate. After training with the Vodder School, Catherine became a qualified MLD therapist in 1996 - and is also qualified in the Leduc method of MLD. Working privately and within the NHS Catherine has gained invaluable experience working with a wide range of complex cases. She is also trained in the Casley-Smith method of MLD and has been involved in developing the lymphoedema service at Barnsley Hospice. Catherine currently works for the Leeds Lymphoedema Service. Jeanne has worked in lymphoedema since 1993 since setting up and running a hospice clinic. After completing Casley Smith MLD training in 2000 she has been a Casley Smith teacher and part of the Macmillan Lymphoedema Association since 2005. After working as the Lead Nurse for the Specialist Lymphoedema team in the North of England Cancer Network, Jeanne worked at Charing Cross Hospital, London where she developed a new Lymphoedema Service within the Oncology Department. Jeanne is currently Lymphoedema Clinical Lead at Teeside Hospice, where she runs a program of lymphoedema courses and is involved in redesigning Lymphoedema Service provision to North and South Tees. Jacqueline has a nursing background and became interested in lymphoedema after working on a breast unit; she completed a management of lymphoedema course in 1997 and went on to work solely in lymphoedema. She has been part of the Leeds Lymphoedema Service since 2001, working across two hospitals. Jacqueline has also served as a committee member for the British Lymphology Society, teaches lymphoedema management at Masters level and also local courses in MLD. Rhian is a Chartered Physiotherapist, and previously specialised in palliative care before setting up cancer and non-cancer adult lymphoedema services in North Wales. She initially completed her training in lymphoedema management through the University of Huddersfield before training as a Casley-Smith teacher. Rhian is a member of the British Lymphology Society, serving twice as honorary treasurer. She is also president of Casley-Smith International and a Macmillan University Teacher at the University of Glasgow. She has presented her work nationally and internationally and has published in peer review journals. She is undertaking research in Wales and internationally to further develop the validated self-report tool for men, the Lymphoedema Genitourinary Cancer Questionnaire (LGUCQ). A study initially funded by a research grants from the BLS and Tenovus Cancer Care. Sue is an Occupational Therapist with previous experience in orthopaedics, rheumatology, spinal injuries, neurology and primary care. She set up a lymphoedema clinic in Shropshire in 1999 before moving to join the lymphoedema team at St Giles Hospice in 2007. From St Giles Hospice she moved to the Lymphoedema Clinic at the Derby Royal Hospital in 2013, leaving in August 2014. Sue qualified to teach Casley Smith MLD in 2005 and has been a member if the Macmillan Lymphoedema Association since this time. She currently delivers update courses in England. Melanie is a Chartered Physiotherapist and is the National Clinical Lead for Lymphoedema Services in Wales. She was instrumental in developing equitable lymphoedema services in Wales and now manages the award winning Lymphoedema Network Wales. Her interest in lymphoedema began in 1997, she subsequently set up the first lymphoedema service in South West Wales in 2001. Melanie qualified as a lymphoedema teacher in 2005 as part of the Macmillan Lymphoedema Education Programme and has since delivered annual MLD and lymphoedema update courses in Wales. She has just completed her doctorate in breast cancer risk reduction at Swansea University; and she has presented and published widely in delivering innovations in lymphoedema care. Currently the Programme Manager for the delivery of the LVA super micro surgery development and Paediatric Services in Wales, she has also recently joined as a Director on the International Lymphoedema Framework. Margaret’s clinical background is oncology and palliative care and she is an Honorary Lymphoedema Clinical Specialist in NHS Forth Valley in Scotland. In her role as Macmillan Lecturer / Senior University Teacher, she became well known for her contribution to lymphoedema education and research which she introduced and led in the University of Glasgow, for many years, where she is now an Honorary Senior Research Fellow. Her work has been recognised by the University in the award of a Teaching Excellence Award in 2006, an Outstanding Contribution to Lymphoedema Education from the ILF in 2009, a team award for Outstanding Contribution to Teaching by the Student’s Representative Council and a Lifetime Achievement Award in 2016 from the British Lymphology Society. Raising professional awareness of lymphoedema has been a driver in Margaret’s work over the years and has involved her as a specialist adviser in many education and government initiatives. She is currently Chair for the British Lymphology Society and a Director of the International Lymphoedema Framework, co- chairing the International Education Committee and leading an initiative for a minimum standard of education on lymphoedema in undergraduate curricula for all health professions internationally (Lymphoedema Education Benchmark Standards). Margaret is committed to promoting early recognition of lymphoedema, risk reduction and supporting self-management. Lynne is currently the Lymphoedema Clinical Lead for the Southern Trust in Northern Ireland. First becoming interested in lymphoedema as part of her Senior Physio in Oncology role in 2000, she completed a keyworker course followed by Casley Smith MLD training. Lynne has experience in treating a range of primary and secondary lymphoedemas, and in 2005 become a teacher of the Casley Smith method providing education in Northern and Southern Ireland. The redesign of lymphoedema services in Northern Ireland has developed the Lymphoedema Network Northern Ireland which is a clinical network ensuring all patients will receive timely, high quality treatment. Anita has been involved in lymphoedema since 1992, initially as part of her role as a Macmillan Nurse. She was also lead specialist for Gloucestershire Hospitals Lymphoedema Service and previously lectured at Birmingham City University where she has set up accredited courses. In 2005, Anita qualified as a teacher to become part of the Macmillan Lymphoedema Association. While still working in Gloucester she, in partnership with Macmillan Cancer Support established a network of lymphoedema trained practitioners in Gloucestershire. She was instrumental in establishing lymphoedema services in Worcestershire and Herefordshire. Currently a full time Senior Lecturer at the University of Worcester she continues to offer training in all levels of lymphoedema practice including establishing appropriate education for undergraduate pre-registration nursing students. This in part has resulted in her achieving Fellowship of the Higher Education Academy. Currently Chair of the Macmillan Lymphoedema Association Anita maintains her clinical practice and nurse registration through her own clinic. Cheryl qualified as a Charted Physiotherapist in South Africa and became a lymphoedema specialist in 2004 after joining Melanie’s team in Swansea. She currently holds the post as the National Macmillan Innovations Lymphoedema Specialist where the main focus of her work is to evaluate the Lympho Venus Anastomosis Programme in Wales. This includes scanning people using video fluroscopy, performing pre- and post-operative assessments including qualitative and quantitative research as part of her work based doctorial studies through Swansea University. Cheryl's passion to share her knowledge and skills with colleagues saw her assisting Melanie with teaching on MLD courses since 2007, and she became a qualified Casley-Smith teacher in 2014. The MLD foundation level courses is held annually in Wales and is accredited through Agored Cymru. We also offer the only accredited advance level (update) MLD course in the UK and this is held two or three times a year. Yolande qualified as a physiotherapist in Glasgow and became in lymphoedema specialist in Forth Valley in 2006. She trained as a Casley Smith MLD therapist in 2003, becoming a qualified teacher in 2014. Yolande has presented at national and international conferences, while also teaching on the lymphoedema programme at the University of Glasgow with Margaret and Rhian, and delivering MLD update courses. Melanie started working in Oncology nursing in 2001 at Mount Vernon Hospital. She then completed her Casley-Smith MLD training in 2004. She has worked in lymphoedema services in cancer centres, teaching hospitals and the community, currently acting as the lead for lymphoedema across Hertfordshire and West Essex. In addition, she has worked as a breast care nurse and a secondment with the Cochrane collaboration on systematic reviews. Jacquelyne is retired from the Macmillan Lymphoedema Association but we continue to be proud of our association with her work. As a Consultant Physiotherapist in Lymphoedema she was involved in developing lymphoedema services in West Yorkshire for over 20 years. 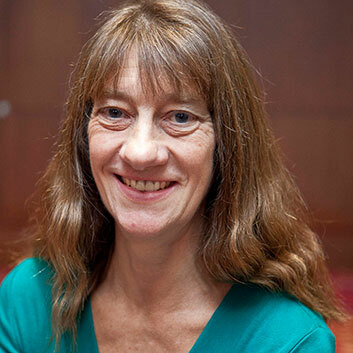 Jacquelyne has served as Chair of the British Lymphology Society, and also worked with organisations and professionals in the field of lymphoedema to produce a range of resources for people with lymphoedema. She has also been involved in producing information for professionals and a number of research projects, completing her own doctoral studies in December 2007 by comparing the incidence of lymphoedema following two programmes of shoulder mobilising exercises after breast cancer surgery involving axillary node dissection.